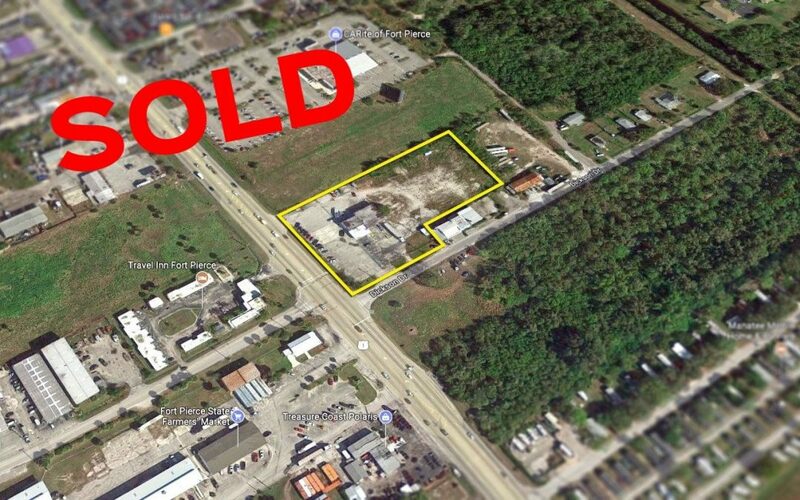 A 3.03 acre site located on the corner of US-1 and Dickson Drive in Fort Pierce has just been sold for a grand total of $995,000. The spacious lot includes a 5,869 sf building with excellent frontage to US-1. Future plans have not been disclosed but will potentially be used as a redevelopment piece. The seller of the property was represented by Matt Crady and KC Daniel, sale and leasing agents with Jeremiah Baron & Co. Commercial Real Estate, LLC.